We are Truman Films, we are a production company that creates emotive social content in the UK and Australia. We are working on our first production in New Zealand and we are in search of a production designer who's local to Auckland. 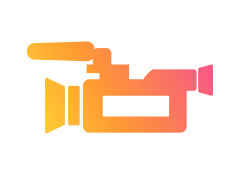 The shoot is a two day hidden camera project, our production designer will help with props for the hidden camera stunt, as well as help with hiding cameras in the filming location. March 23rd and 24th 2019. Looking for a production designer who's great with dressing sets, sourcing props and has practical building skills for helping to hide camera and camera operators in a hidden camera environment.